If you haven’t heard by now, I’m giving away a free signed paperback copy of my collection of poetry “Men Are Garbage” in celebration of National Poetry Month. You only have to sign up for my newsletter to be entered into the giveaway. Sign Up Here! The winner will be chosen and notified on April 15. No purchase necessary. You must reside in the United States. 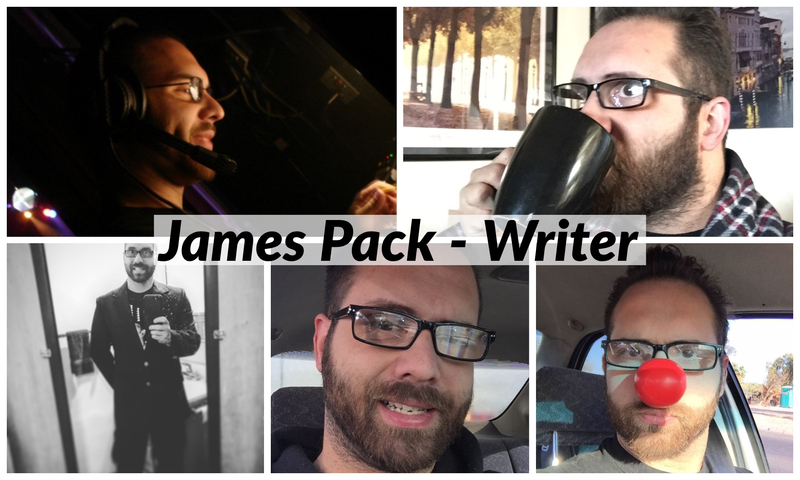 James Pack examines masculinity and anxiety in “Men Are Garbage,” a book of poetry in which he reflects on childhood trauma and his time as a nightclub bouncer. Once you have signed up for the newsletter, you will have exclusive access to updates and information on new projects. I promise you will not get bombarded by emails. I’ll likely only send out something once a month with details of new things coming. For more frequent updates, you can always follow me on social media or follow my blog. Each Poetry Monday post on my blog features a poem from this collection. If you’re unsure, read through those archived posts and get a small sample of what the collection is like. Don’t forget to subscribe to my Patreon Page (It only costs $1), like my Facebook Page, and follow me my Instagram Page and Twitter Page. Follow this blog to get updates for all the poetry during National Poetry Month. Enjoy Palm Sunday, Good Friday, Passover, Easter, and Earth Day. 100 poems for your reading pleasure. In honor of National Poetry Month, I will post a lot more poetry! I have mostly published something once every couple weeks but I’m moving to every single week and multiple times each week in April. Depending on the success of this, I may or may not continue posting something every week. Poetry Mondays will continue every week and Throwback Thursday Poetry will continue every week. I’m also adding something new. Haiku Hump Day every Wednesday; one short haiku each week. Can you handle all the poetry coming your way? Friday Fiction and Free eBook Fridays will continue. The free eBook for April is my most recent collection of poetry Men Are Garbage. The poems featured in Poetry Mondays are from this collection. If you’ve enjoyed what you’ve read each Monday, I encourage you to get the whole collection with 100 poems in total. As always reviews and feedback are always appreciated. You can leave a review on Amazon or Goodreads. You can also write a review on my Facebook Page or jump over to the Contact Page and shoot me an email. You can also follow me on Instagram and Twitter. On a personal note, I will attempt to write one poem every day in April. I tried this a few years ago and never made it past day 14. My writing has improved since then and I expect that I can accomplish this goal. I also encourage you, if you are a poetry writer or want to be, to challenge yourself to write a certain number of poems in April. I might share a few that I write, but I will not share all of them. You’ll just have to wait until I publish them on my blog or in an eBook. Happy writing!